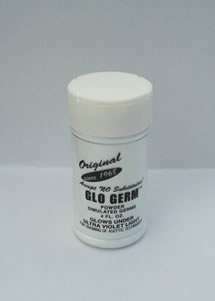 Replenish your Glow Germ Kit with the 1.9 ounce bottle of Glo Germ Powder. This Powder shows up brilliant white under UV light. Each bottle is good for many demonstrations showing proper surface cleaning as well as the spread of germs, especially in the area of cross-contamination. Very economical as only a very small amount of powder is used each time. Simply apply Glo Germ Powder to your hands before washing to learn how well you or your employees' handwashing techniques are working. This fun and safe product glows when exposed to UV light, turning the invisible lotion into "germs you can see". That the children are the most important thing in a divorce.